Today is a very proud day for us primarily due to two reasons: a) we are launching completely revamped interface of Visual Website Optimizer that is packed with loads of new features; b) we have achieved 10,000 total signups (trial + paid). Asynchronous code snippet (in beta): Our biggest innovation! This new code snippet ensures there is zero impact on your website load time while an A/B test is running. It also ensures that if our servers are inaccessible, your website loads normally (graceful degradation). The asynchronous code is in beta but we are very confident about it as early adopters reported success with it. 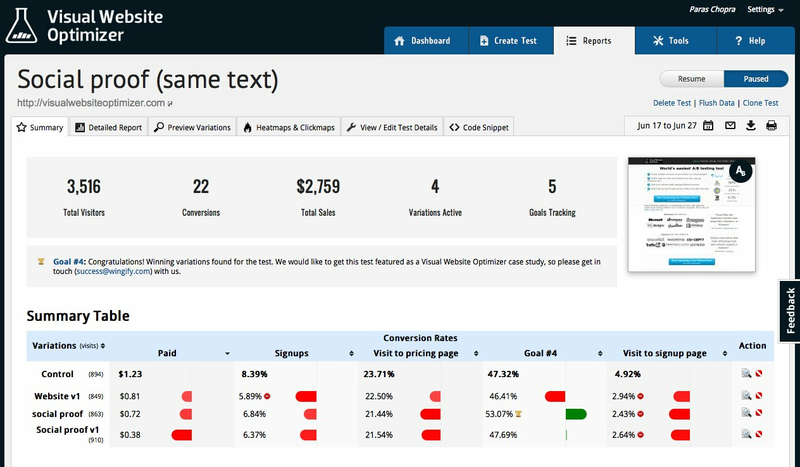 Report enhancements: print option, average order value, tabbed navigation of goals, etc. There are many other subtle improvements that we will leave to you to discover. 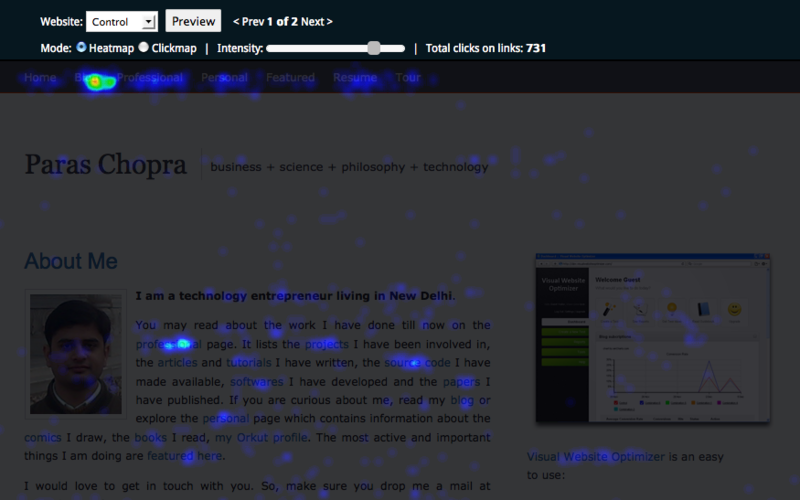 Following screenshots will show you different aspects of Visual Website Optimizer‘s new interface. We begin our journey about a year ago (in May 2010) when we launched Visual Website Optimizer paid plans. Today we are psyched to announce that we have achieved a total of 10,000 signups (free trial + paid). Our customers include individual bloggers, small businesses and all the way to large enterprises such as Mircosoft, AMD, Groupon and FourSquare. Our revenue has been growing by 10-15% consistently for last one year and thanks to increased userbase our servers are now handling 2.2+ billion pageviews per month. We are proudly self-funded and are extremely profitable. Next phase is to expand the team and hence we are actively hiring engineers and sales guys. If you want to shake the website optimization world, join us! This new interface was driven entirely from user feedback and we thank all early adopters for helping us fix kinks before release (including but of course not limited to Janco Klijnstra from Traffic4U, Ahmad Rahman from AMD, Lucy Spencer from LoveFilm, Nate Ende from Trinity Insight and Karl Blanks from Conversion Rate Experts) . We are incredibly lucky to have them as customers as they take their precious time to help us improve Visual Website Optimizer. 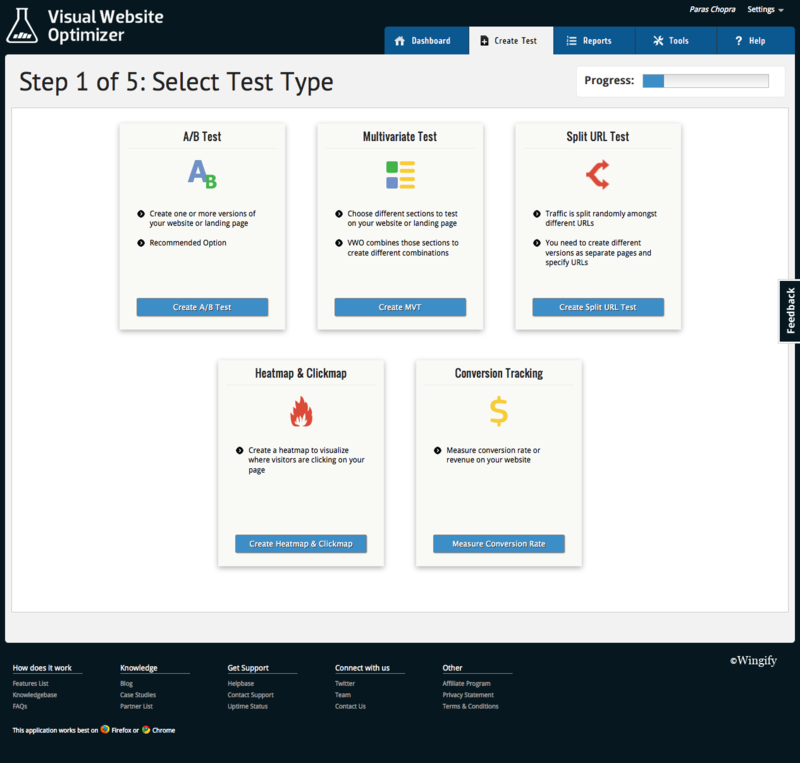 Of course, we are far from done in our mission to make A/B testing fun, easy and profitable. 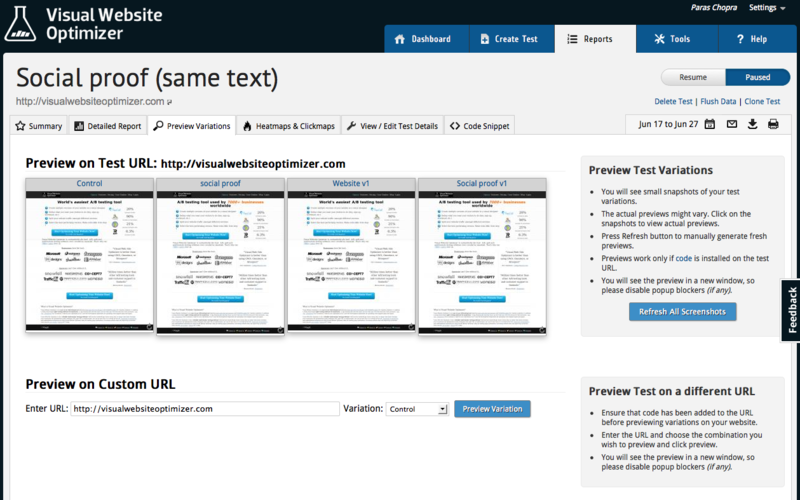 We would love to hear your feedback on new interface and how we can further improve Visual Website Optimizer. If you want to try out the new interface, simply signup for our no commitments free 30 day trial and let us know what you think! The new interface looks really good. Congrats on the success.